The Wilshire Restaurant serves breakfast and lunch Monday – Thursday from 9:00am-3:00pm. On Fridays, we’re open from 9:00am-8:00pm, and serve delicious dinners and fish fries. Drop in anytime, no reservations required. Our Catering Staff is ready to go whenever you are. Seven days a week, any size, anytime, anywhere. 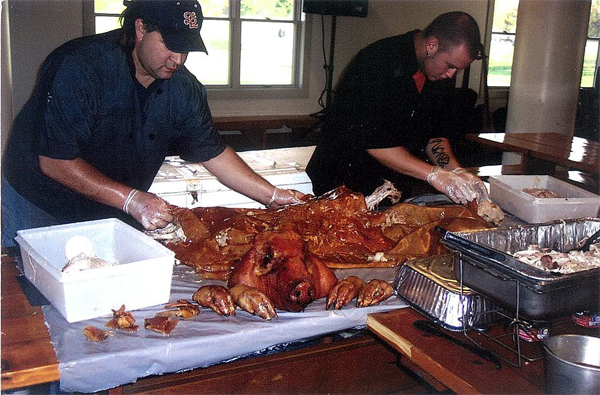 From full-service galas to cook outs, buffets, and deliveries, we personally assist any special occasion. Call Joe, Greg, Sally, or Annie Jo to go over menu options, or pricing for party rentals! The Salad Man offers great homemade salads at wholesale prices. Call to learn about our 16 cold salad options, available in any size including bulk. AND REMEMBER: When someone says they are almost as good as Wilshire, don't settle for it! Call the most experienced, full service professional caterers in Rochester.